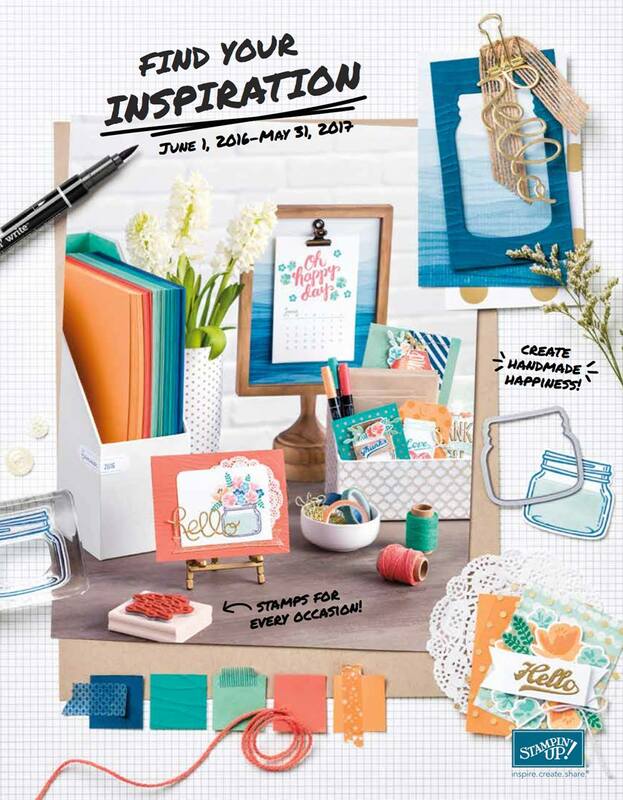 Inch of Creativity: Stamp Review Crew: Four Feathers! 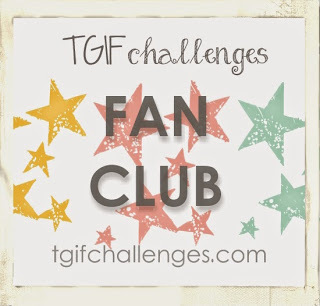 Stamp Review Crew: Four Feathers! 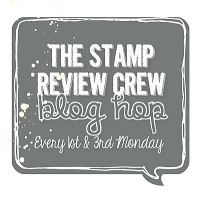 Hello and Welcome to the Stamp Review Crew Blog Hop! 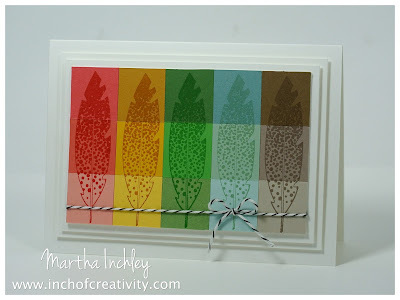 This week we are featuring projects made with the stamp set: Four Feathers! I was so happy to see this bundle carry over from the holiday catalogue, but now I'm sad as it won't be carrying over to the 2015-2016 Idea Book & Catalogue. Oh well... there are plenty of new goodies in the new catalogue to cheer me up! My pre-order for the new catalogue arrived a few days ago and I just couldn't resist playing and incorporating it in with today's post! I won't be surprised if other crew members have done the same thing! 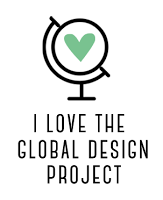 I must admit that my project today took a complete 180 from what I originally had in mind, but in the end, I like it! 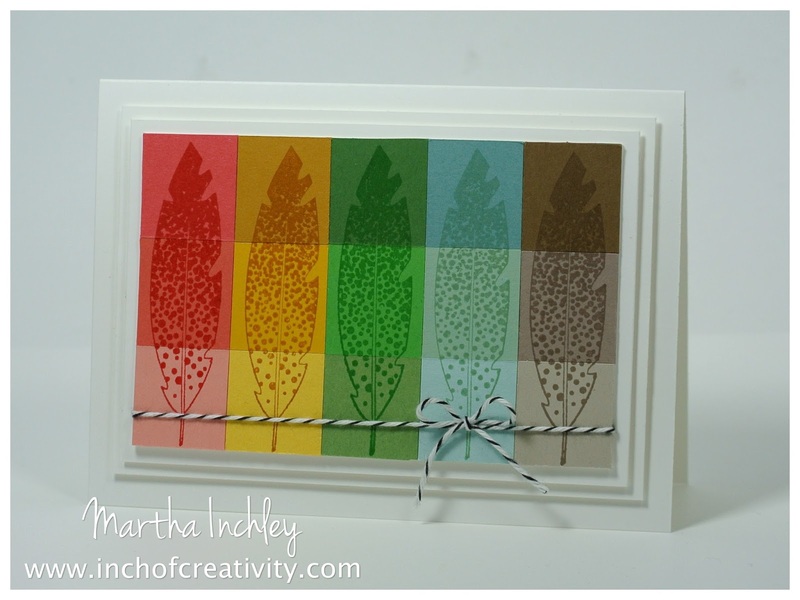 My original intention was to have each feather die cut out... but as I was glueing down the strips and stamping the feathers (all on one sheet) I really liked the blocks of colours and the combinations it made, so I ran with it! It kind of has that quilting block feel or even a pixelated graphic feel to it. So what's new you ask??? The colours! I used the new 2015-2017 In Colour cardstock and Ink! Each feather is stamped in a new In Colour ink (Watermelon Wonder, Delightful Dijon, Cucumber Crush, Mint Macaron, and Tip Top Taupe) and each has 1 square of the new In Colour cardstock! Thanks for hopping in! Next up is the Talented Wendy Weixler or if your hopping the other way, the talented Holly Krautkremer! Happy Creating! Very cool card, Martha! Love the color blocking. It really shows off those feathers! Beautiful way to showcase the new colors! 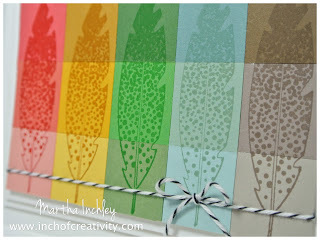 What a fun way to look at coordinate shades with the In Colors! Fantastic! I love this - it's kind of like an Andy Warhol card! This turned out really, really cool!!!!! 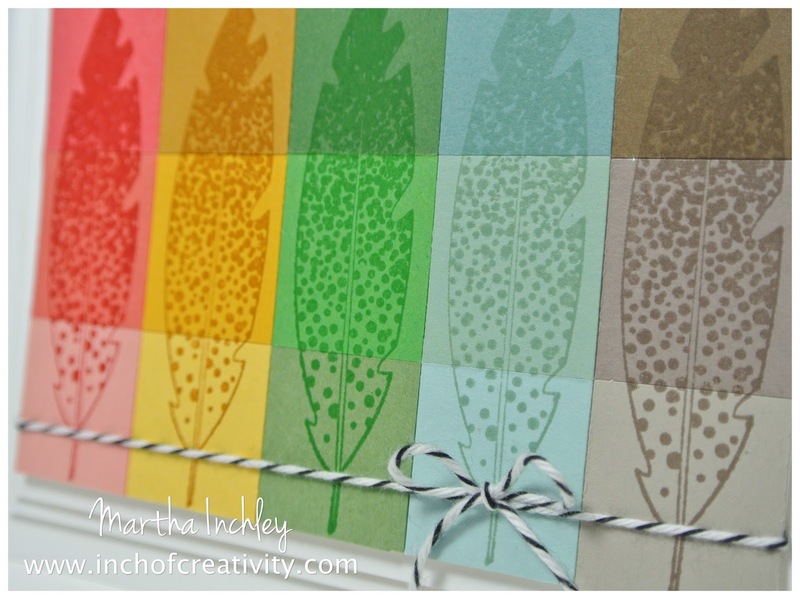 Love the rainbow of feathers - creative use of the new colours.